Vaccine Man is a creature born due to the massive pollution released across the Earth by human beings. According to him, he was created as an incarnation of nature's wrath, meant to wipe out humanity and thus effectively vaccinate the earth against future infections. 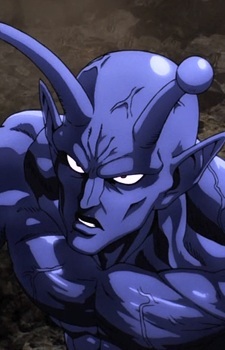 He is the first enemy faced by Saitama shown in OnePunch-Man. Bill Burr once again proves that anime can have reach far outside of the fandom in his musings over the popular anime. With a fist so powerful he can level an entire city with a single swing of his arm, you would think everyone on the planet would know about Saitama. But in this latest episode of One Punch Man, we learn that isn't quite the case.